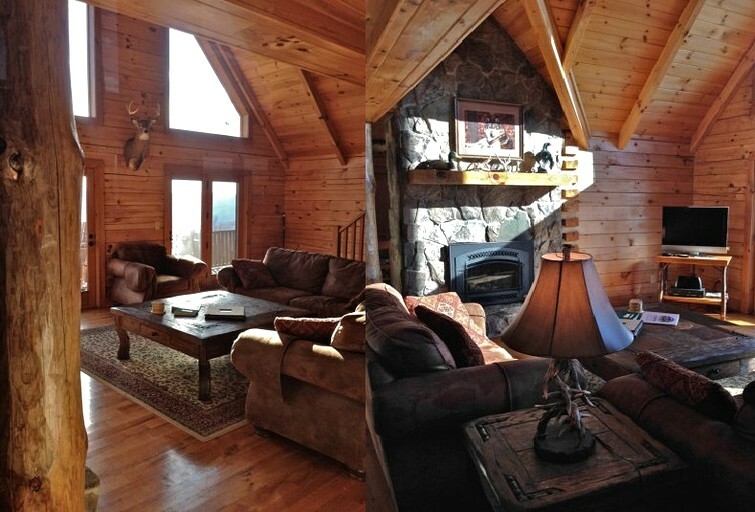 This luxury log cabin rental is located in Ferguson, North Carolina—a mere 45 minutes from the well-known village of Blowing Rock on the Blue Ridge Parkway. 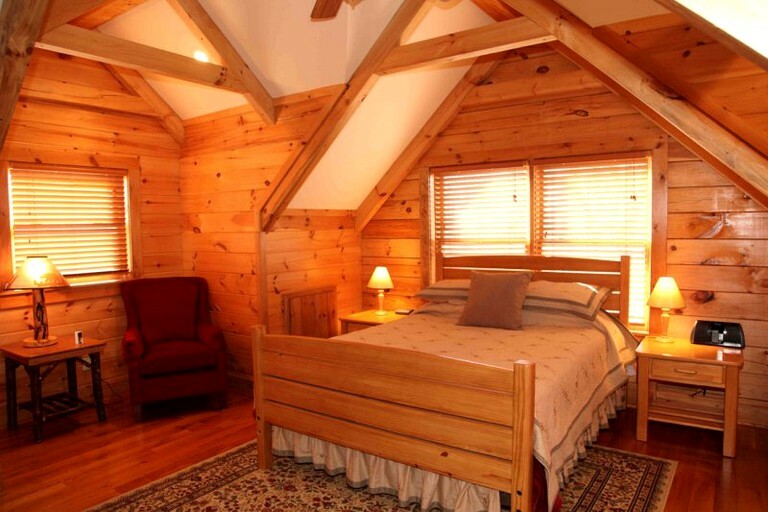 The cabin can accommodate six guests and features three bedrooms and three bathrooms. On the main level, there is one bedroom with a king-size bed, while on the upper level of the cabin, there are two more bedrooms, each with a queen-size bed. 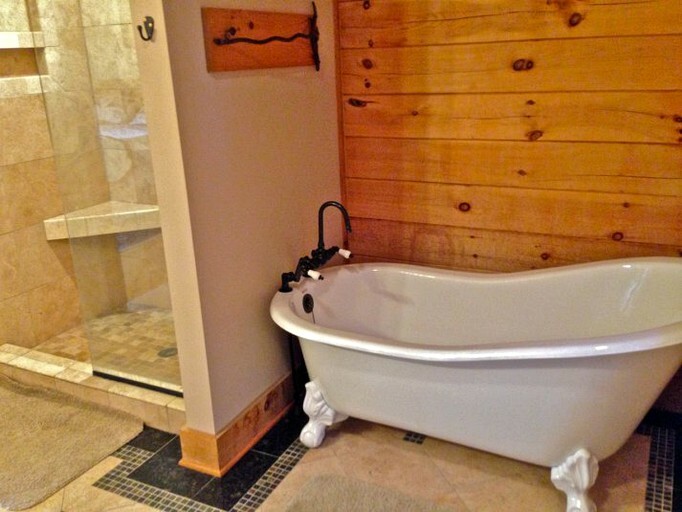 The full bathrooms are evenly distributed throughout the cabin, with one on the lower level, the main level, and the upper level of the accommodation. Linens and towels are provided. Boasting stunning views of the Blue Ridge Mountains from every room, this cabin comes with a modern open floor plan that includes a living room with a stone fireplace and vaulted ceilings; a fully-carpeted family room in the basement; and a fully-equipped kitchen, which comes with granite countertops, tile flooring, a dishwasher, a garbage disposal, and more. 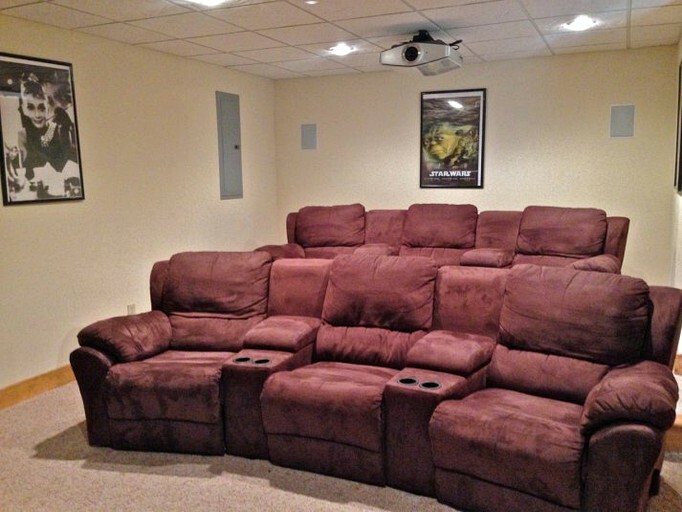 Guests will love the multitude of entertainment options available to them, including a custom-made pool table, a foosball table, two HD televisions with satellite TV and DVR, and a home theater room with a 100-inch HD screen, Surround Sound, and theater seating. This amazing glamping property boasts everything guests will need and more to relax in style during their stay. 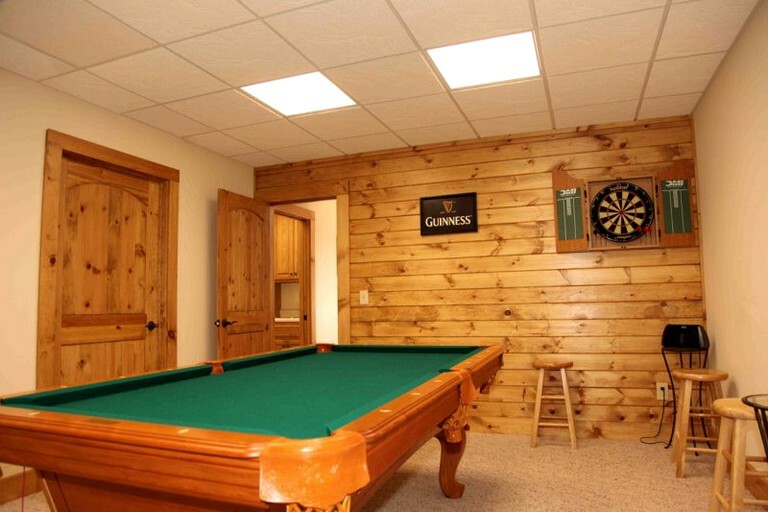 For entertainment, the cabin comes with a custom-made pool table, a foosball table, two HD televisions with satellite TV, and a home theater room with a 100-inch HD screen, Surround Sound, and theater seating. 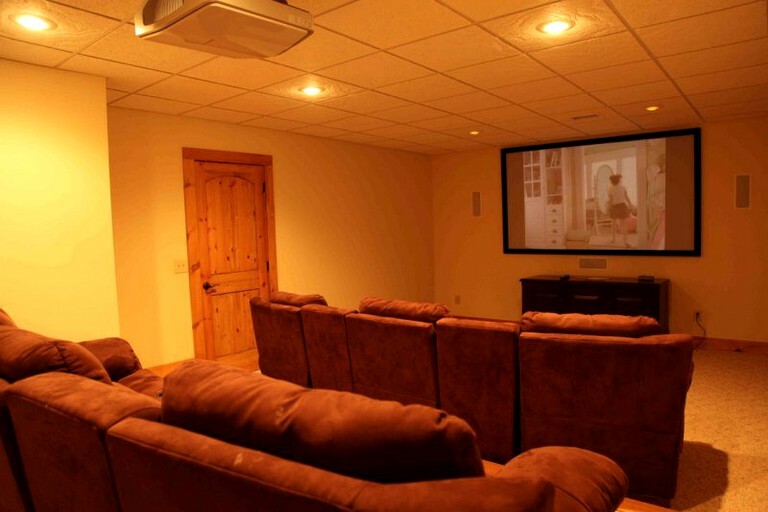 Outside, there are two screened-in porches and a private hot tub. In addition, the hosts supply complimentary gourmet coffee for guests to enjoy and a bottle of wine to get them in the holiday spirit. At the resort, there is a restaurant and a full bar for when guests fancy a night off from cooking, as well as a gift shop where glampers can pick up souvenirs. The property boasts an equine center with 60 boarding stalls, an outdoor show-size riding ring, a generous covered and lighted arena for riding, horseback riding lessons, and a training program. Guests can take advantage of all these services for an additional fee. 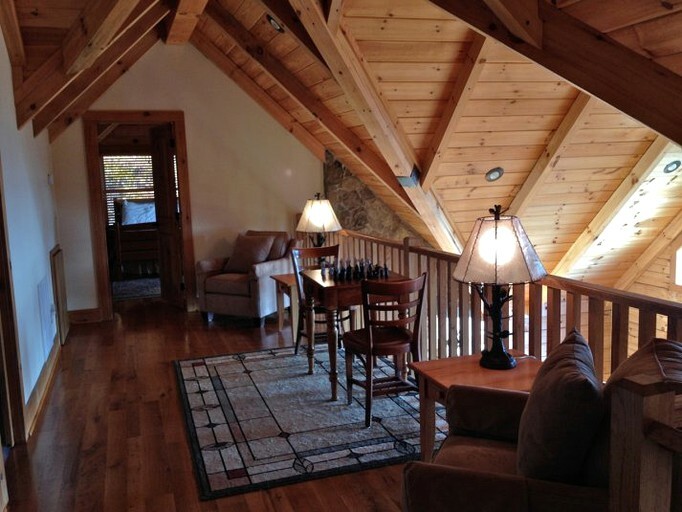 Glampers are invited to come and explore all that North Carolina has to offer with a stay in this luxurious property. Guests will find themselves ideally located for visiting all of the impressive sites found in this secluded nature haven. 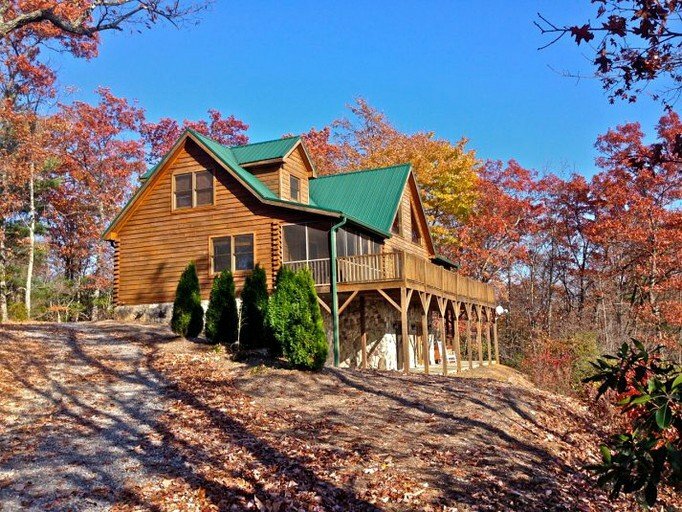 The rental is located in a gated vacation resort surrounded by 75 miles of deeded, maintained hiking trails for glampers to roam. 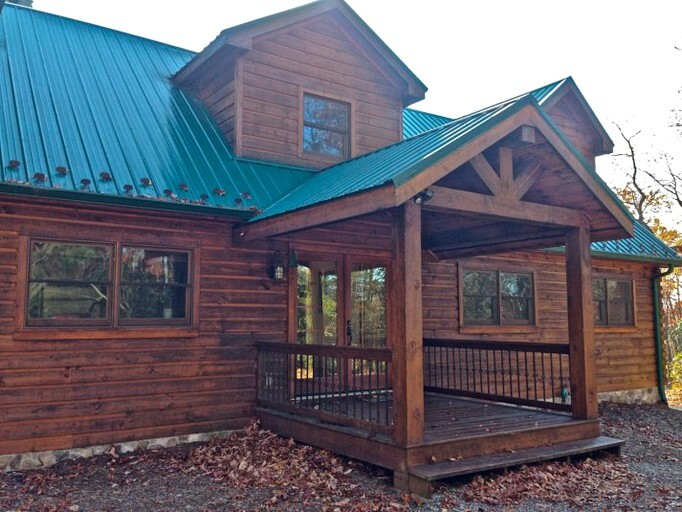 In addition, guests will be able to enjoy easy access to the Blue Ridge Mountains for even more hiking options, with the parkway located just half an hour away. 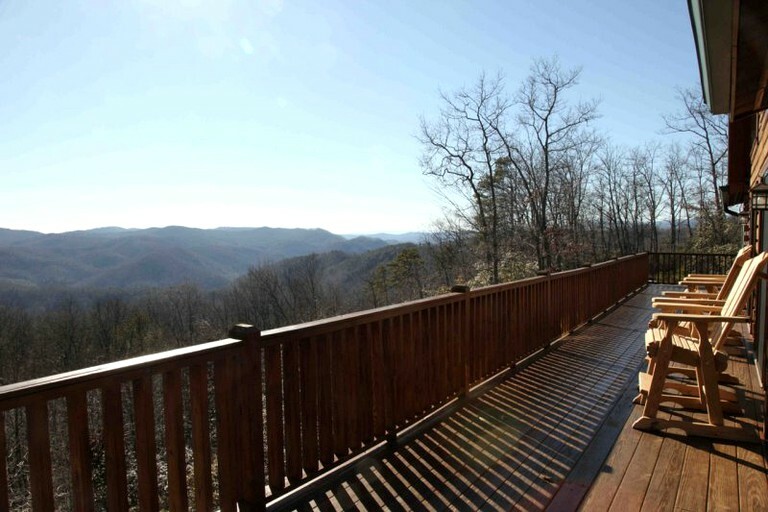 Slightly further afield, glampers should be sure to visit Linville during their stay. 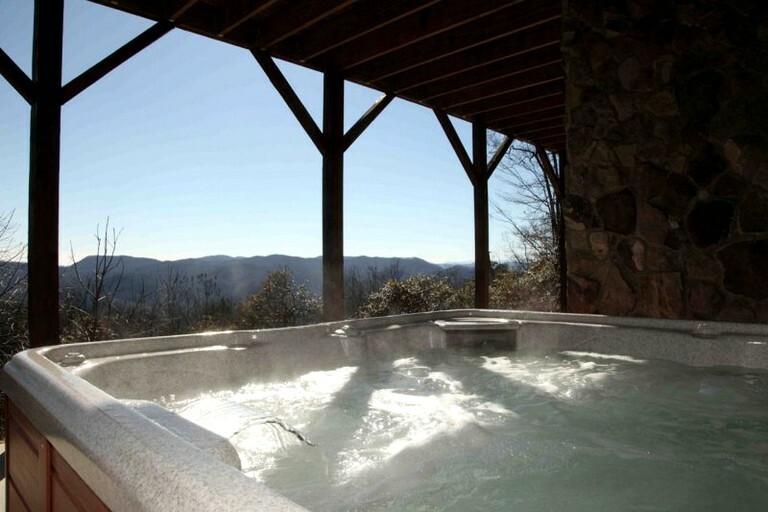 It lies an hour from the property and is home to Linville Gorge Wilderness, where glampers can hike or cycle with the Blue Ridge Mountains as their backdrop. This area also offers the famous Linville Caverns, where guests can learn how the mountains were formed and more about the mysterious caves. 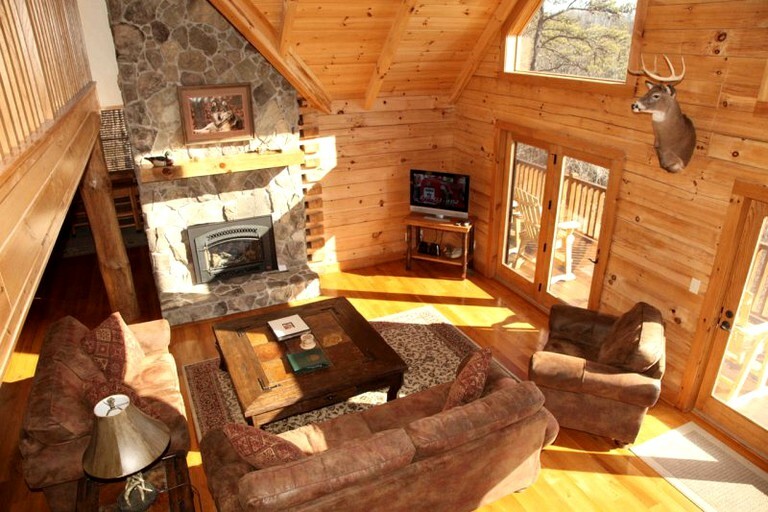 Linville is also home to the impressive Grandfather Mountain, which adventurous glampers can climb to enjoy the incredible views from the peak. 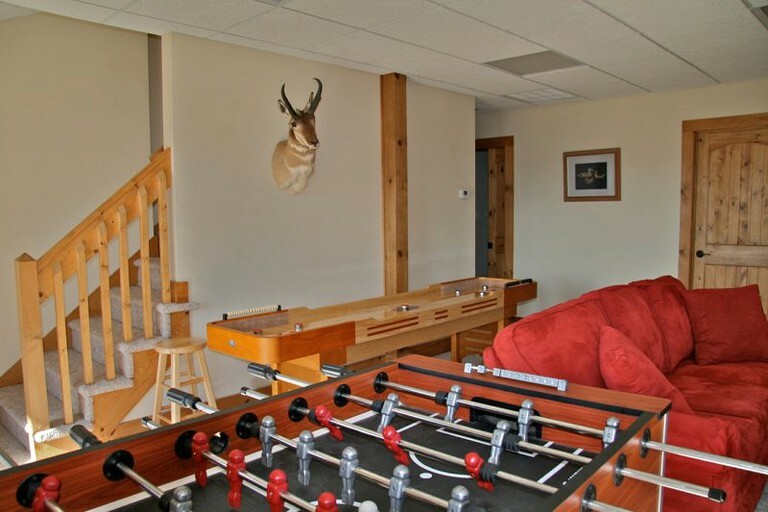 There really is no end to the possibilities for adventure during a stay in this property. 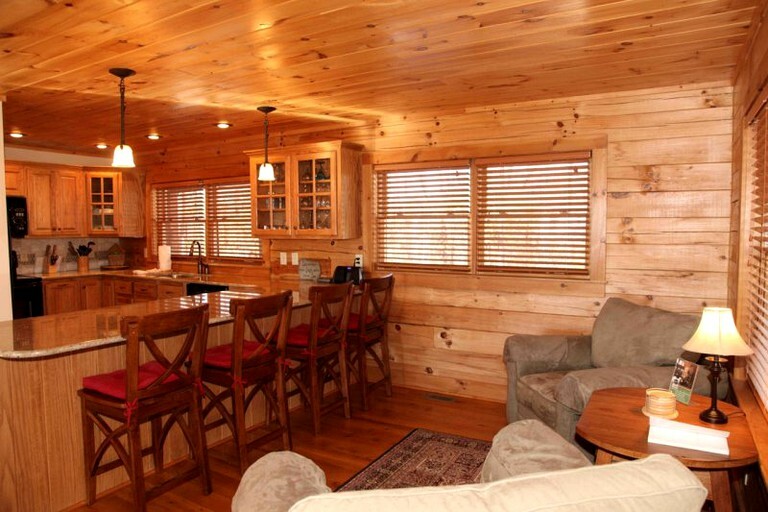 Without even leaving their rental, glampers can take part in horseback riding and hiking. Cycling is also an amazing way to explore the scenic trails that lead out from the property. Kerr Scott Reservoir is located just 15 minutes from the property and is a wonderful spot to enjoy a picnic or a quiet afternoon of fishing. There is also an abundance of wineries in this area for glampers to discover. 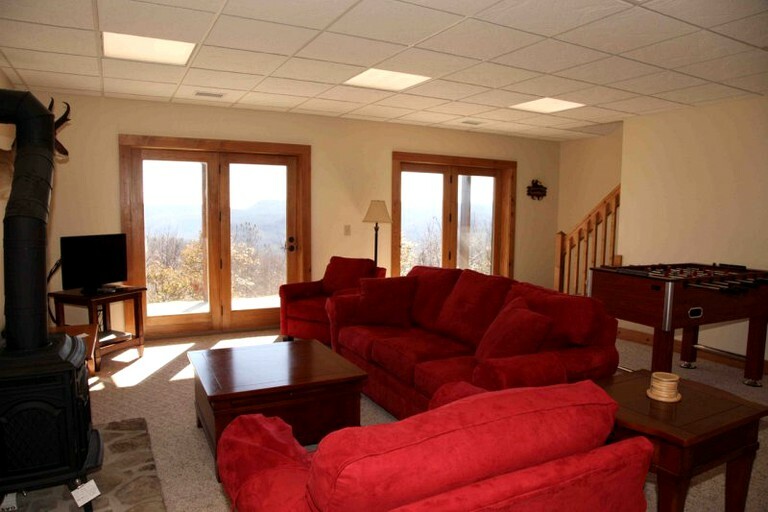 For golfing, guests can visit Boone and head out on the course just 40 minutes away. The rest of the group can enjoy shopping and dining in the meantime. There is also plenty of water-based fun to be had in the area. From tubing to swimming, streams and rivers can be found in abundance. The Blue Ridge Mountains are a must-see during glampers' vacation and the vast Stone Mountain State Park is located an hour away. 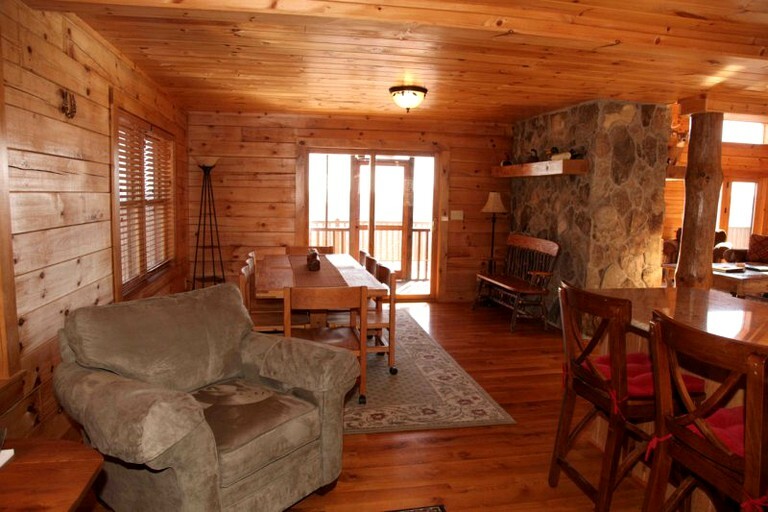 Here, guests can discover mountains, lakes, and beautiful trails. Skiiers of all abilities will delight in the options available in this area. The High Country features three ski resorts and an additional snow tubing resort to ensure there are plenty of slopes available. Appalachian Ski Mountain is located just 40 minutes from the property and offers skiing, snowboarding, and an ice skating rink. Smoking is not permitted inside the rental, and pets are not allowed. Guests will have to choose between a $40 plus tax Vacation Rental Damage Protection fee, which is non-refundable, and a $300 refundable security deposit.